Poppy Hills, along with Pebble Beach and Spyglass Hill, has hosted the PGA Tour and the AT&T National Pro-Am. With a distinguished list of champions including Tiger Woods, Phil Mickelson, Johnny Miller, and Payne Stewart, a round at Poppy Hills can be compared to golf’s great champions. 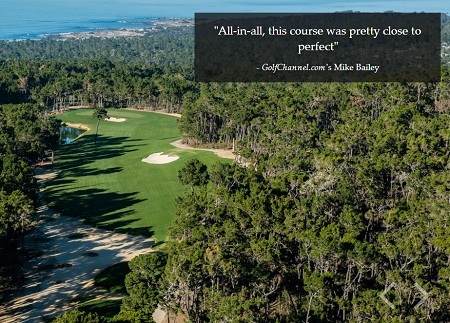 Welcome to the new Poppy Hills, the closest experience in golf to a round in a national park. The peaceful and serene backdrop sets the scene for a tranquil trip through the grand Del Monte Forest in Pebble Beach. Poppy Hills is a fascinating trail that meanders through a forgotten corner of Pebble Beach. Discover a rustic and rugged experience along the forest floor, through the pine straw and native natural sandy areas that weave into each hole. Take in surprising and stunning ocean views from vistas well worth the hike. 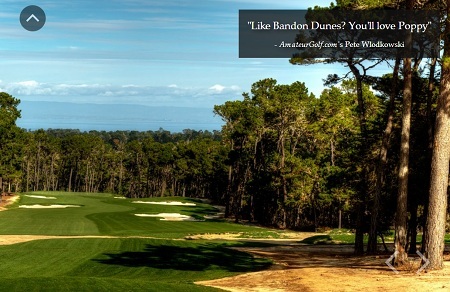 There are seven golf courses in golf’s greatest zip code, but Poppy Hills is a truly unique experience, with Pebble Beach rates that won’t break the bank. Enjoy firm, fast and fun conditions – fairways unencumbered by rough, shots defined only by what your imagination can dream up, glassy bentgrass greens purer than any you’ll find on the peninsula. Welcome back to Poppy Hills. Poppy Hills Golf Course is the ultimate location to host your unforgettable celebration with its scenic surroundings, indoor and outdoor celebratory options, tremendous cuisine and attentive staff.